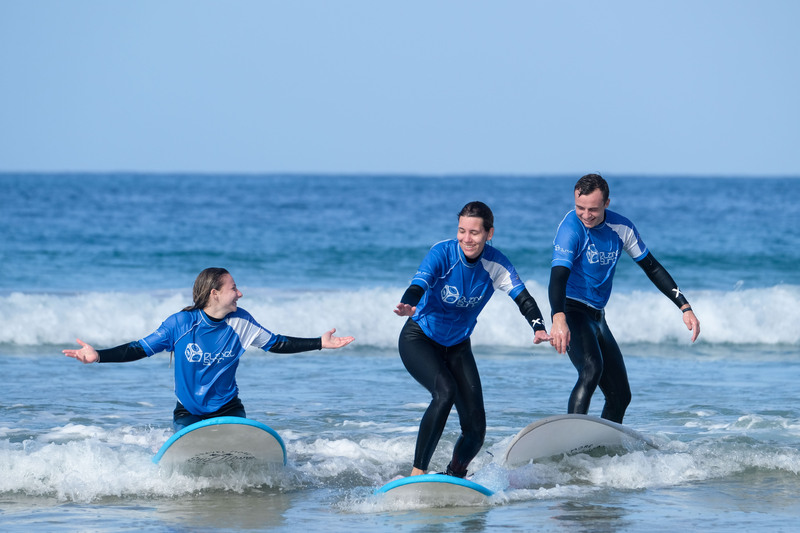 At our surf school in San Vicente de la Barquera, Cantabria, we set ourselves apart from our competitors through both our passion for surfing and our experience of the sport. We grew up in the Canary Islands with surfing being a big part of our lives from a very young age and have competed in surfing at an International level. Now we’ve turned our passion into our profession, and in doing so hope to share our love of surfing with others. 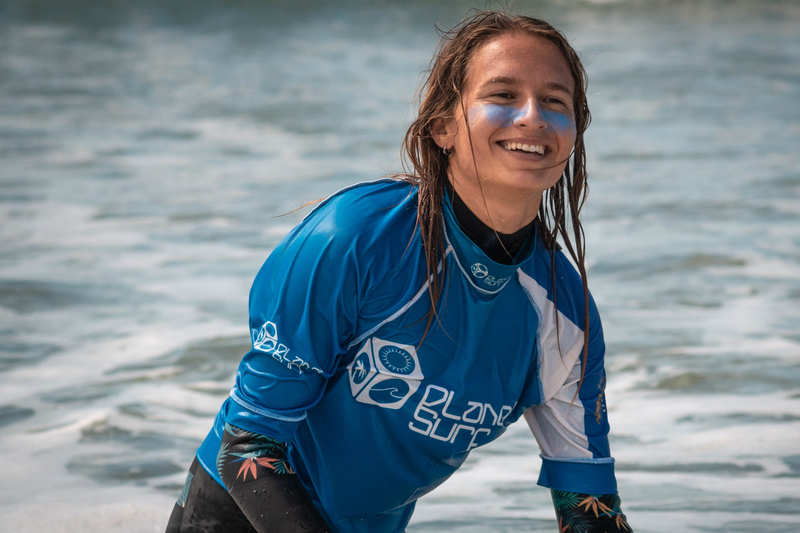 As such, if you come away from our surf school having had a great time in the water and with a desire to carry on surfing in the future, then we’ve succeeded at our ultimate goal. Our wealth of experience of the sport has allowed us to develop our own schooling methods, guaranteeing you learn the correct surfing technique from the off, progress quickly, and of course have a lot of fun in the process. The main emphasis of our surf school is on practical experience in the water, and as such the overwhelming proportion of you surf lesson time you will spend in the water. However, we also value the importance of theoretical knowledge, not only to aid your understanding and learning but also to ensure your safety in the water. In San Vicente, our surf camp is just metres from the beach upon which our lessons take place. This beach break provides the ideal conditions for learning to surf and has consistently good surf conditions. However, if some very big swell comes through, we have the option of moving our lessons to the neighbouring beach of Oyambre, to ensure that the lessons can go ahead safely. Unlike other surf schools, we teach you the correct technique from your first lesson. Whilst the technique of using your knees to stand up, which many other schools favour, may get you up and standing quicker, in the long-term it hinders your progress. Thus, we teach you the three-step technique from the beginning, to maximise your development further along the line. Furthermore, at our surf school in San Vicente, you will only be taught by surf instructors who have an official and internationally recognised surf instructor licence, as well as a life-saving qualification to guarantee you safety. 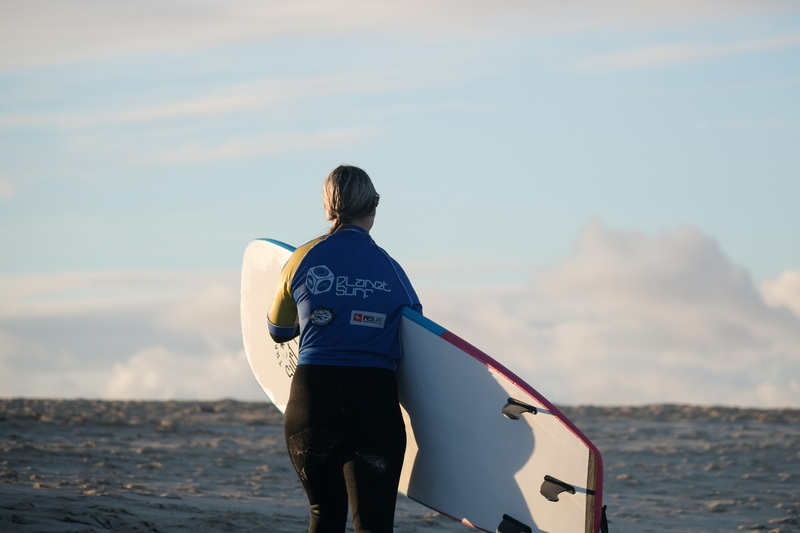 In addition to this, all our instructors are not only experienced surfers themselves, but they have the skills to be able to translate their surf knowhow to others and to deliver excellent lessons. 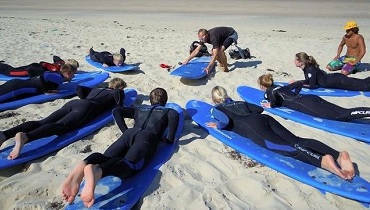 Lessons are taken with an absolute maximum of eight students per instructor and with well-maintained surf equipment. Our small group sizes afford you plenty of individual attention and feedback in order to perfect your technique in the water. 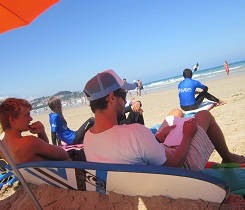 Our surf school in San Vicente provides everything you should look for in a great surf school. High quality lessons with qualified and experienced instructors, combined with a lot of fun, and most importantly a great care for your safety, makes our surf school in San Vicente the ideal place to learn to surf.